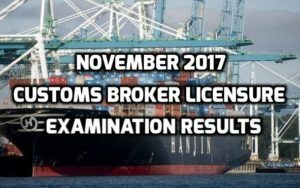 The recent announcement of the Professional Regulation Commission revealed the latest results for the November 2017Customs Broker Licensure Board Examination. According to the published information of the commission, 2,093 applicants took the board held last November 22-23 and 1,114 passed successfully. The designated venues where the examinees took the board include the test centers in Cebu City, Davao City and in the city of Manila. The Board of Custom Brokers provided the licensure and administered by the assigned board members namely Rolando L. De Jesus and Nenette T. Dagondon. As detailed by the PRC, the schedules for the issuance of Certificate of Registration and Professional Identification Card (IDs) will be on December 5-6, 2017. PRC (Professional Regulation Commission) has released the results for the November 2016 Customs Broker Licensure Examination. Out of 2,022 examinees who took the test, 1,030 have passed. 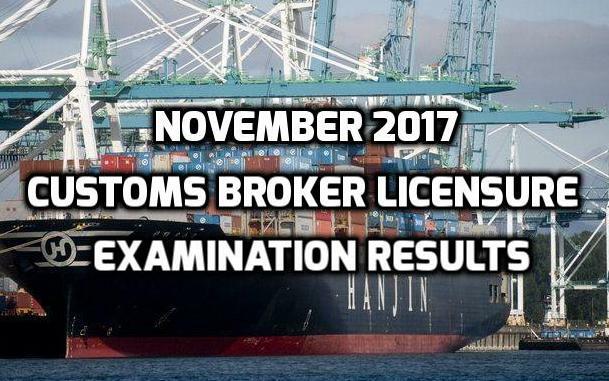 The examination was given by the Board of Custom Brokers in Manila, Cebu and Davao just this November 2016. 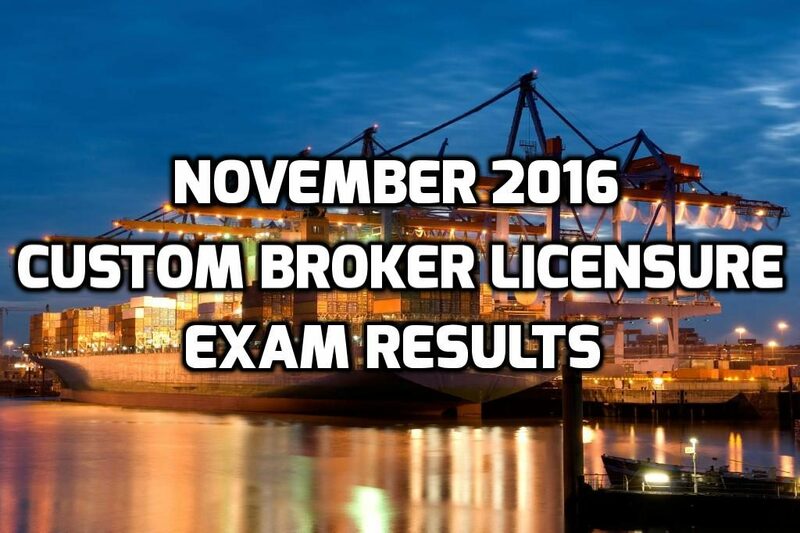 The results of the November 2016 Customs Broker Licensure examination was released in two working days from the last day of the exam. Nenette T. Dagondon, Officer-In-Charge and Rolando L. De Jesus, Member, are the members of the Board of Custom Brokers who facilitated the exam.